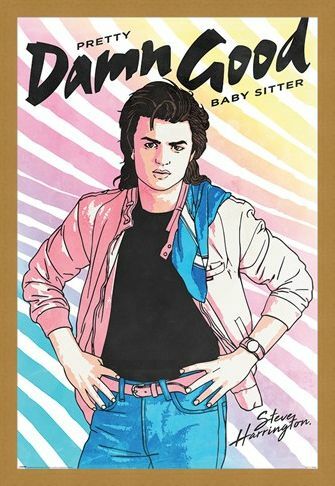 The world's worst boyfriend he may be but this adolescent stud is a dab hand at protecting your younger siblings from entities and deadly Demogorgons from another dimension! 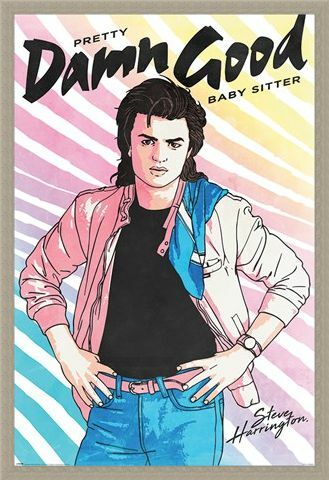 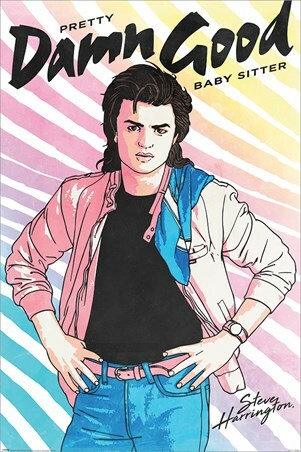 Stood with this hands on his hips and a tea towel slung over his shoulder, Steve Harrington is the boss! So what he says... 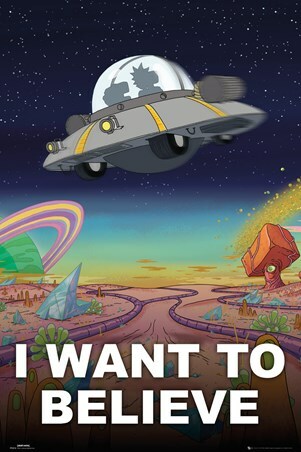 GOES! 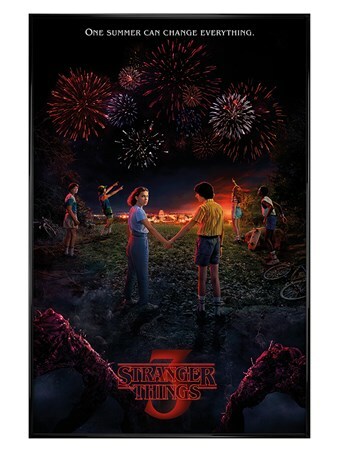 If the nail biting and mysterious adventures of the Hawkins four had you on the edge of your seats then this wicked pop art style poster from Stranger Things is a 'Pretty Damn Good' way to keep you in check! 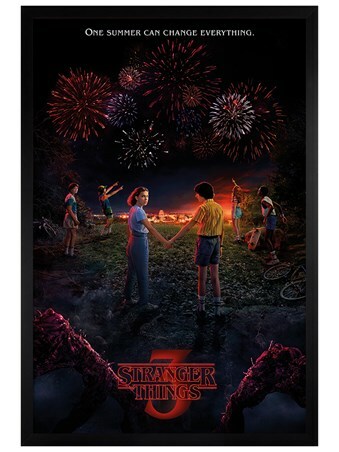 High quality, framed Damn Good Babysitter, Stranger Things poster with a bespoke frame by our custom framing service.